Get Outside with Ordnance Survey! Before moon rise the skies from a dark sky site should reveal views of the Milky Way and the planets Saturn and Mars low towards the South. The bright stars of Deneb, Vega and Altair that form the “Summer Triangle” will be near overhead. The International Space Station will also be visible from the UK with a bright pass at 20:34pm. 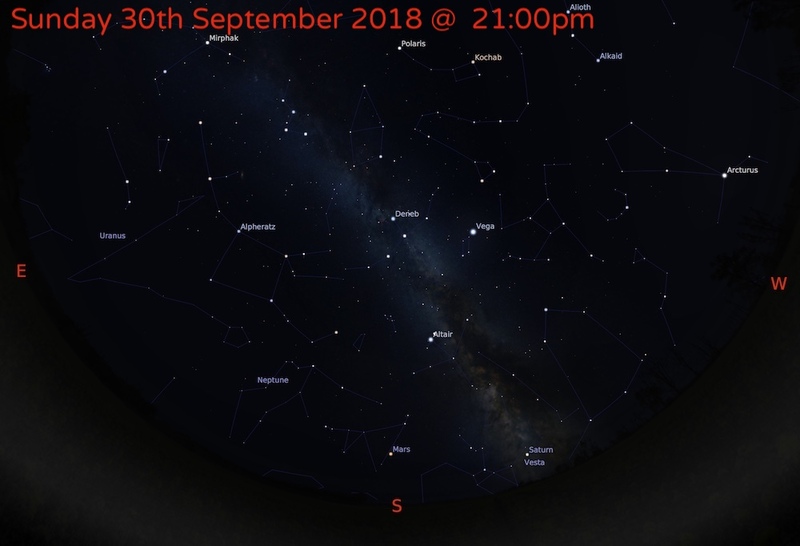 The image below shows the path it will take across the skies as observed from Darlington, UK — the further South you are in the country the higher in the sky it will appear. Visitors and locals are invited to join members of the Tomintoul and Glenlivet Landscape Partnership for this event observing distant but spectacular star clusters as well as the planets Saturn and Mars.